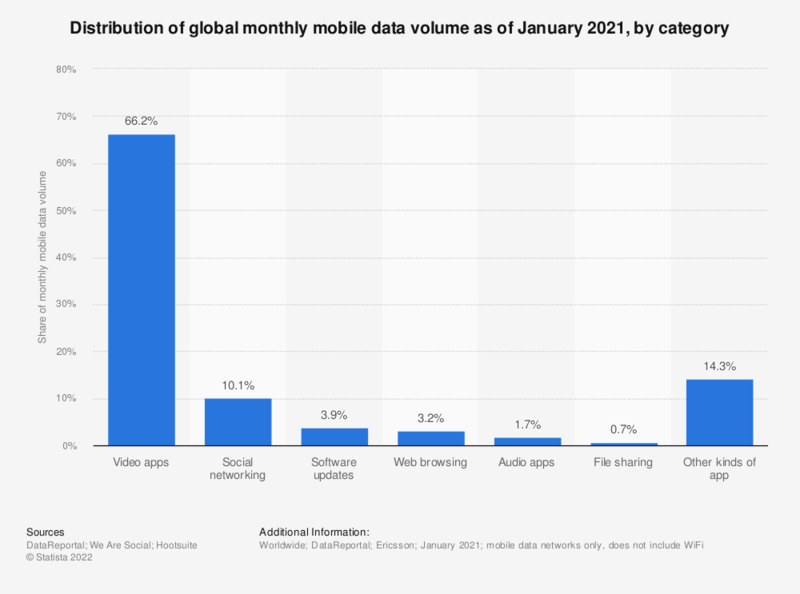 This statistic presents the distribution of mobile data traffic in 2014 and 2019, sorted by application category. In 2014, mobile video accounted for 55 percent of all global mobile data traffic. This share is projected to grow to 72 percent in 2019.